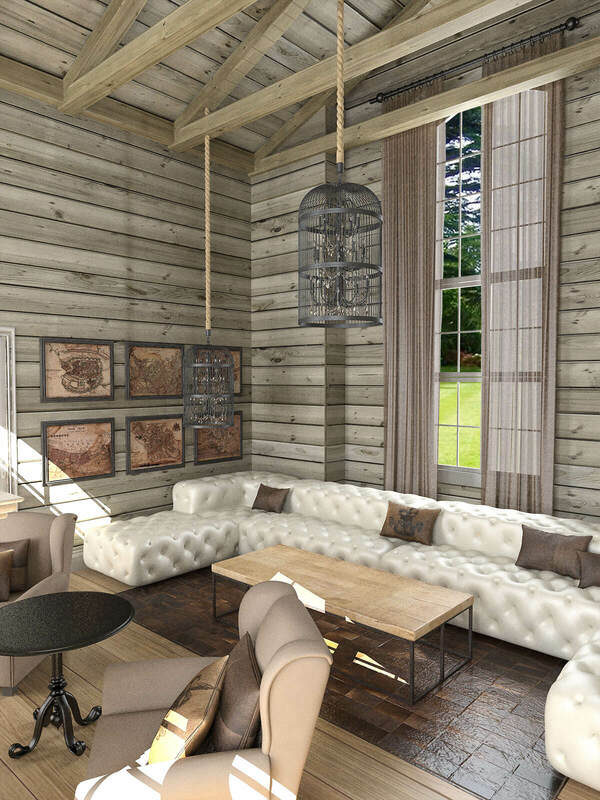 London 3D Design | 3D visualisation of a log cabin front room. 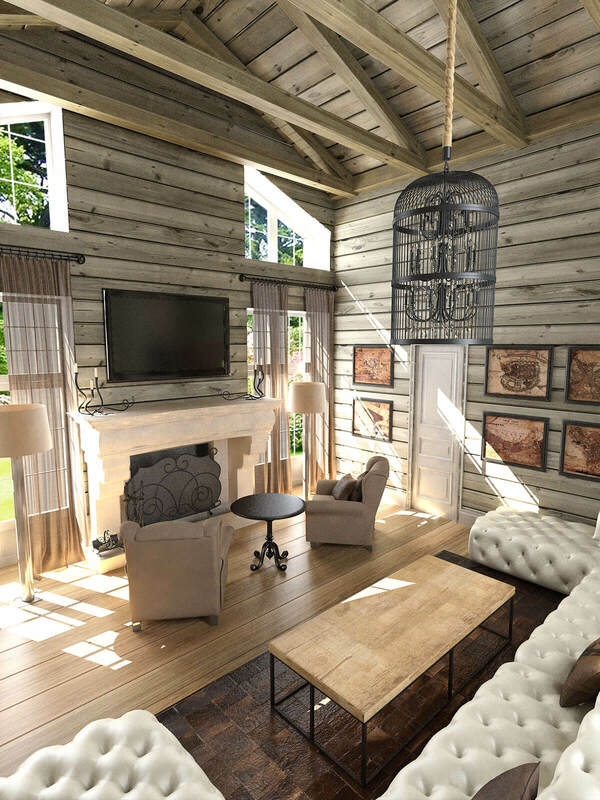 3D visualisation of a luxury front room in a log cabin style. 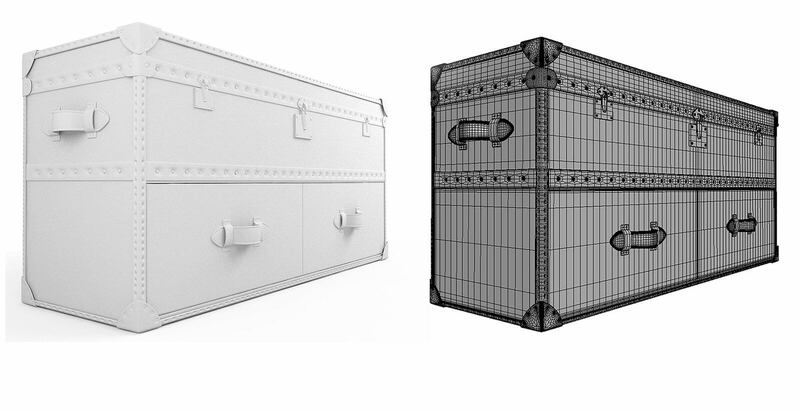 The architect of this interior design was very specific in all details and gave me all catalog information for all decor and furniture which were modeled specifically for this 3D visuals.